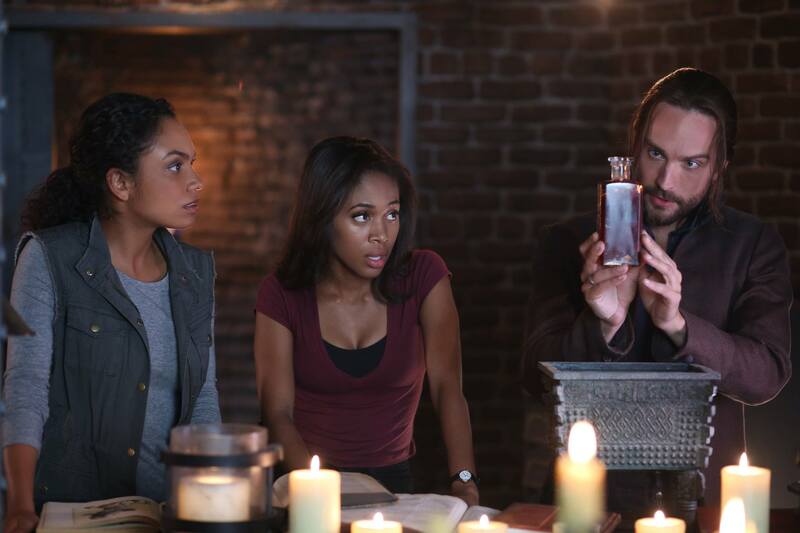 It’s the Season of Ghosts and Gouls, and as if Sleepy Hollow’s Halloween Legal Short wasn’t enough, you can be sure this weeks episode would set the stage for Halloween frights. With skin walking Wendigo’s and swallowing spiders of pure evil, there was a lot in this episode to cringe over. So let’s take a closer look and see what happens when the abyss gazes back. Despite the episode’s title being “And The Abyss Gazes Back”, there were actually two beliefs on what becomes of those who fight evil; and we will specifically see this play out in Captain Irving’s tale. According to Henry/Jeremy, “those who fight monsters should see to it that in the process they don’t become one. For when one gazes into the abyss long enough, the abyss gazes back”. Henry is banking on this to help spur Irving into becoming one of his Envoys of War. In order to tempt Irving, Henry tells him that the only way he can get his soul back is if he has another take his place. This is where Henry offers up the man who struck Irving’s daughter with a car and basically ruined his life. As if this wasn’t tempting enough, the man in question isn’t even remorseful and blames Irving’s daughter for being on the sidewalk. Hell, I wanted to strangle the guy at this point; but Irving controls himself and decides not to kill him because it’ll only play into Henry’s larger plan. Irving realizes that he’s in the middle of a Catch 22; and he’ll be screwed either way. If he kills for War, he’ll truly become War’s messenger. If he doesn’t kill for War, then Irving will become War’s pawn once he dies. He knows the situation is hopeless and can only put faith in Abbie and Ichabod finding a solution before he dies. Though Irving’s restraint from killing the man also demonstrates the other side of this episode’s beliefs on those who fight evil – Ichabods. Ichabod might have been describing Joe Corbin’s situation; but his words of “once a hero always a hero” also ring true for Irving. 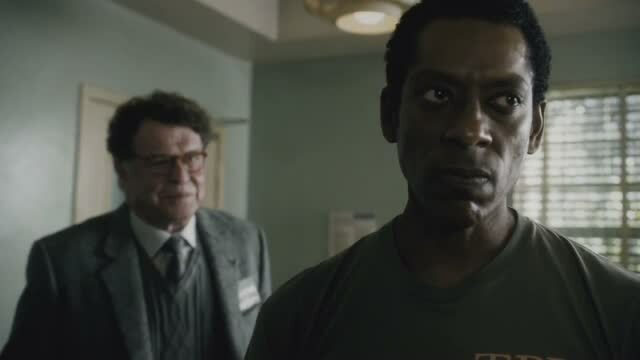 Much like Joe, Irving might become a dark monster at some point; but in the end he will always remain a true hero and fight for the side of good once more. Henry might know this deep down, which is why he needs more than one “Creature of War. A couple weeks ago we were wondering what Henry had planned for the Pied Piper’s Flute. With it cracked it half it seemed pretty harmless; but it turns out that a cursed human bone – of which the Flute was made of – is all you need to make a Wendigo. This legendary creature was first encountered when the Shawnee helped Daniel Boone track down his brother – who had been turned into one after the events of Valley Forge. Though now it is Sheriff Corbin’s son Joe who was to become the next Wendigo. This ‘skin walker’ curse is enacted whenever you touch the powder of a cursed bone; and that is how Henry cursed Joe so that he might go home and get his inheritance: a vile of Jincan. This powerful poison is brewed by having a bunch of venomous creatures fight and eat each other, thus leaving the victor with all the various toxins in its blood. If Joe doesn’t deliver this vial to Henry before his 3rd transformation, the curse will become permanent. As always, it was a trap set by Henry and the only ‘curse’ he wanted to relieve Joe of was his humanity. Thankfully Ichabod and Abbie were able to cure Joe despite the transformation becoming seemingly permanent. With the bloodlust in him cured, Joe could once again become a force of good rather than a ‘creature of War’. Though what could Henry possibly have in store for that vile of poisons? The answer is the most disturbing thing yet; and will be the focus on next episode. In speaking to Joe Corbin, we learned that Ichabod still loves Henry in spite of everything. Joe then tells Ichabod to tell his son that he loves him, no matter what happened to him – for fear of never getting the chance like what happened to Joe and his father. Though can Ichabod still say these words after what Henry has planned? The Jincan that Henry now possesses was used to create a spider of sorts that was last seen crawling into Katrina’s mouth. This can’t be good and only gets worse when we see the preview for next episode. It appears as though this spider wasn’t means to poison her; but actually breed some sort of archdemon – or worse. The legend part of this COULD be based upon an Incubus; but there is one thing even more pressing – what this will do to Katrina. Katrina wont likely survive this process – again as the preview shows – which is against Moloch’s plan for her to be alive. This will also piss off Abraham who might seek assistance from Ichabod. I don’t know what Henry’s plan is; but it’ll hurt a lot of people. So even after all this, can Ichabod still bring himself to love his son? I guess only time will tell. Though we must remember the parallel between Joe and Henry. It seemed like Joe’s transformation to dark was permanent Abbie broke it. Perhaps there’s still some good in Henry, no matter how dark he’s turned. Next episode is sure to be a painful one – to watch and for our heroes to be a part of as well. Will we lose someone good? Will we gain something bad? Either way let’s just take these closing moments to give a round of applause for the special effects department this episode. The Wendigo transformation and looks was spectacularly well done! So happy Halloween Week everyone and see you next week!